Now that I’ve been using my bullet journal for a bit I’m figuring out all kinds of ways to improve it. I’m also researching how other people make their bullet journals more efficient. For awhile I have felt like I needed more space in my weekly calendar. I’ve needed to find a way to add space, but still keep it efficient and not too spread out. Of course I took my case to Pinterest to see what solutions I could find. I researched weekly spread ideas and I came across a method called the Dutch Door spread. If you’re familiar with a dutch door, you know that it’s a door that’s split so that one half can open while the other half is secured. These were an early solution to a window – you could open the top half of your door and have a nice breeze. The bottom half of the door stayed secure to keep the critters outside. 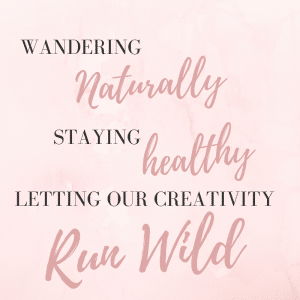 The same thing applies to your bullet journal, you create a portion of the page that remains stationary and another portion that turns as usual. I know it sounds really confusing when you’re reading it but the pictures will explain it better. Like everything creative – there are as many ways to design and use the dutch door as you can think of. 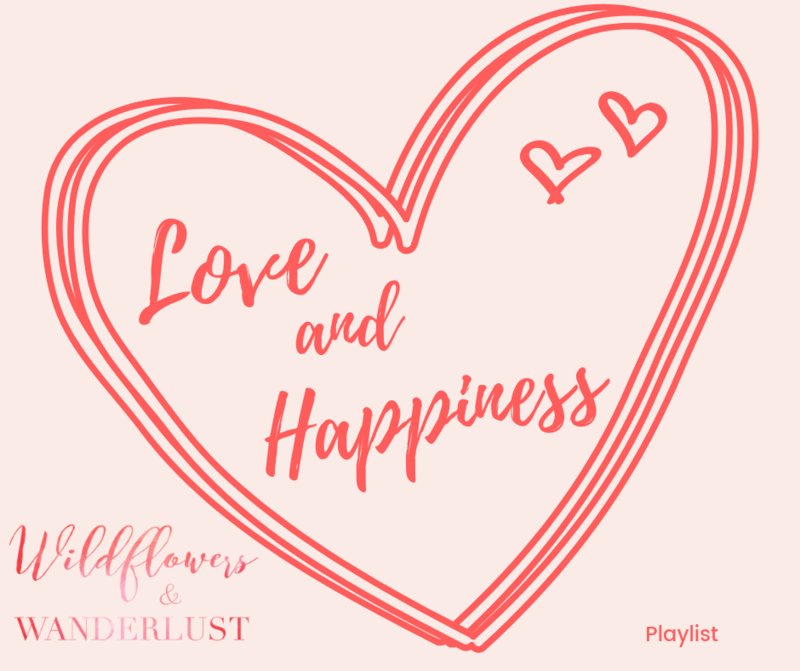 I’m going to start by showing you a few ideas so you can picture them and then talk about how to design yours, how to use it and why it’s effective. Let’s dive right in and start off with a few examples so you can get your mind around what a dutch door spread really is. This is a great example of a horizontal dutch door. When you use this method you will have to cut out a section of your pages to make it work. This example is a monthly spread with the week exposed underneath. This is an example of a vertical dutch door. When you use the dutch door vertically you can just fold your page in half. You don’t have to cut or remove any pages so it feels a little less risky. The inside fold can be used for things that you want to keep private – like a gift list or period tracker. 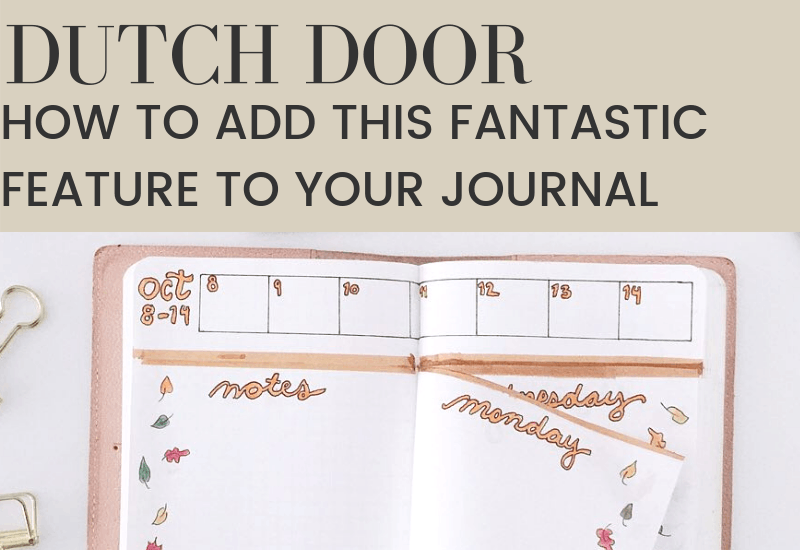 Add space to your journal with vertical and horizontal dutch door spreads in your journal. Start by opening your journal to an area of blank pages. Decide how tall you want your weekly overview to be - it's going to show across the tops of your daily pages. You don't want it to be too tall, but you need to be able to read and write on it so generally 1 1/2"-2" is a good rule of thumb. 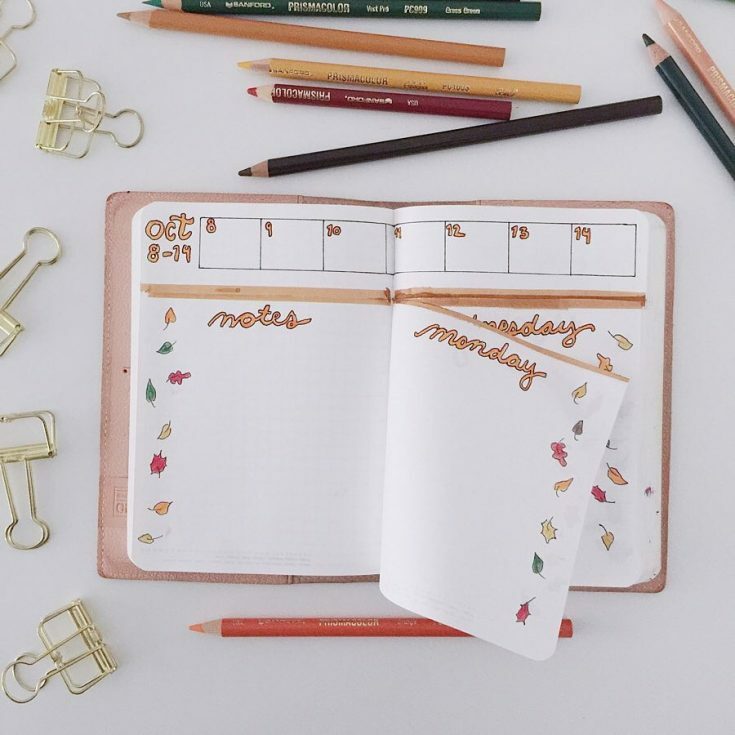 Use your pencil to label your pages with the days of the week. Since there are 7 days in the week and we're using 8 pages you'll have a bonus page. You can use it for a title page, doodles, note, whatever you'd like. I like to make mine a pretty title page. If you start your week on Sunday just write that in the middle of the 2nd page in pencil. You'll be erasing this after, it's just for a guideline. Pencil in the rest of the days on the following pages. So you're first left page would be title, then Sunday, then Monday, etc. When you're finished with this you should have a total of 8 pages (1 per side) - one for each day of the week and your bonus page. Gather the pages in between your first and last. You won't cut the first and last pages, just the ones in between, so your title page stays intact, and your last page (Saturday or Sunday depending on your calendar) stays whole too. Once you reach the spine you'll have to rotate your journal to cut along the spine and remove the top portion of the pages. Now you have an exposed area at the top of your pages for a weekly overview - yay! It should stretch across your week. Go ahead and draw in your weekly overview at the top. Now you can add in your daily titles on your pages. Just erase the penciled in days and decorate to your heart's content. Success - now you have a weekly overview across the top of your week for reference! While I have mostly focused on the dutch door weekly spread, there are countless ways to use the dutch door spread. It is a great way to provide an overview area of your journal. Of course this works well for a weekly or monthly calendar and keeps you from having to draw it in on multiple pages. Your journal is as unique as you are so there are endless ideas on how to use these. There are also endless ways to design them, you can make a cut vertically down your page and use it an an index. You can fold a page over and use it for secret information or as a bookmark for a place that you turn to often in your journal. My favorite thing about the dutch door spread is that it has given me more space to work with. It does sound crazy by telling you to cut out part of your pages to create more space. I guess a better way to describe it would be it has helped me to better organize my planner. Now I have a weekly overview and more day planning space. The dutch door spread is also effective because it’s completely customizable. That’s the bonus of all thing bullet journal related. It can be updated each time I make a new one, and I can try things out to see what system works best for me and the way I plan. There is one issue about the dutch door spread that you may not like. It’s hard to tell how this will effect your journal until you’ve already started using it so I just want to point it out. You are removing sections of paper from your journal. This can make your journal uneven or surrounding pages a bit more vulnerable to wrinkling (if you keep you journal stuffed in a purse or bag like I do). It will create a sort of ridge on the surrounding pages. The only way I’ve found to overcome this is to alternate my overview. Sometimes I locate it at the top and sometimes the bottom. This doesn’t completely solve the problem but it helps spread it out a bit and it also changes things up inside my journal. Overall I’ve found that the reasons for using the dutch door spread far outweigh the reasons not too. It’s been a great way to add more organized space into my calendar. 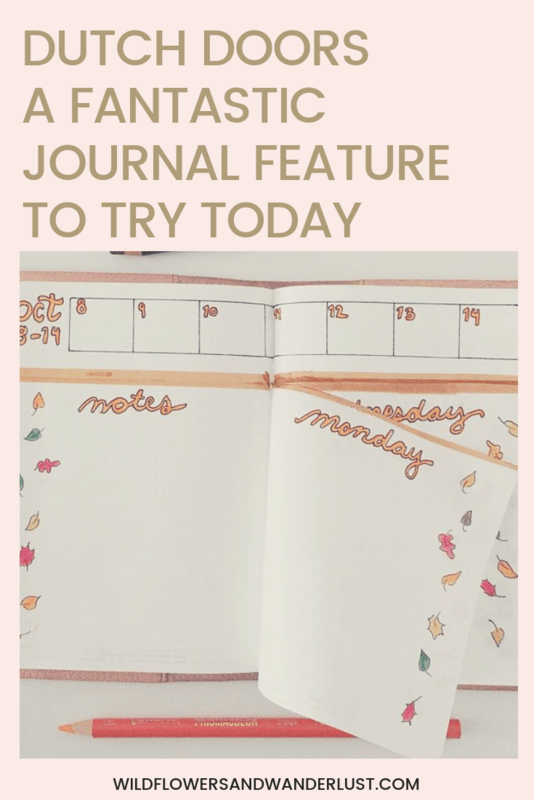 Do you use the dutch door spread in your journal? We would love to hear your thoughts and see your journals in the comments below.